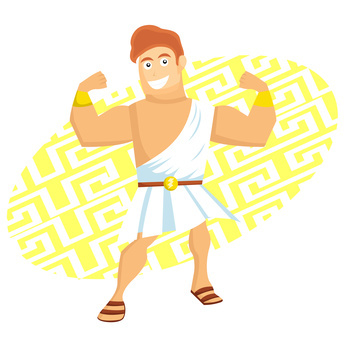 This next few months we are undertaking a Herculean task! As with that muscled monster of myth we have 12 Labours, or in this instance 12 websites to promote and redevelop. The marketing is a fundamental key to their potential success so we need to plan an effective web marketing campaign. Yes, we will be using the standard mix of content, social, linking and promotion that all websites are expected to take but this time I shall be opening up the techniques and tactics for each task we undertake together with explanation for the strategic decisions we are making. Principally the intention is to evaluate the website, its market, its reach and its long term goal before we undertake any marketing development. Girlings Personal Injury Claims Lawyers specialise in securing the best possible financial conclusion for people have been injured or disabled by the inadequacy or incompetence of others. With this client we have inherited and will have to deal with the standard ‘black hat’ old technique of creating doorway pages to promote the principle site www.girlingspersonalinjury.co.uk. Although technically this was Herc’s second task we will refer to this project as the ‘Many Headed Hydra’. There were nine heads on the Hydra…… there are 22 heads on this particular Hydra! But that is fine. From the doorway sites we will be creating ‘satellite sites’. In essence, Google doesn’t actually mind that you have many sites as long as the sites have purpose and good relevant content and are NOT just used to falsely promote the main website. So what is the difference between a ‘Doorway’ site and a ‘Satellite’ site. Quite simply a ‘Satellite’ site is a website that is complimentary to the main site but differs sufficiently that you would include it within the main sites web content. A doorway site simply using keywords to create relevant backlinks with limited content and whose sole purpose is to try and push the main website up the search ranking. Google hates those. So here is the real question, where would you use or want to use a satellite site? Easy, blogs, information resources, directories, project guides, diaries, videos……the list is endless. As a complimentary site the chances are the web will be more interested in the data and information that you would put onto a satellite site more so than your main site. Your main site is in effect your sales pitch. ‘Use us because we are simply Fab!’ Whereas on your satellite site you can actually give back to the users of the internet really useful information with the very clear direction that this information has come from your website which clearly proves that you are an expert in your field! Instead of a doorway site you have provided the internet with a really and valuable resource and that resource then actively credits your main website and your company with the provision of the data – hence the more beneficial rating within the search engines. Obviously it is not always as simple as that, so what we look to do is to take companies that want to promote their service in a highly competitive industry, like Personal Injury Claims Lawyers (see what I did there? ), out of their comfort zone and give more of their expertise to internet users and yes their competitors. This free provision of expertise, knowledge, services, skills is largely anathematic to highly qualified professionals who have spent a lot of time and money getting trained in specialised industries and don’t really want to simply ‘give away’ their knowledge for free. However, the web has shown that visitors are more likely to choose and opt for the more open and honest web site providers than those who insist on contact first and hiding charges or costs until they have you signed up to unbreakable contracts. This makes the use of satellite web sites ideal for opening discussion and creating opportunities. After all you have just been more open than any of your competitors.Why wouldn’t you contact you?